[Orby Shipley, liturgical scholar and Roman Catholic convert.] Two Autograph Letters Signed (both 'Orby Shipley') to an unidentified collector of rare theological works, regarding his plans for reprinting Roman Catholic titles, and a meeting. Both on letterhead of 39 Thurloe Square, S.W. [London] 4 December 1884 and 8 December 1884. Both in fair condition, lightly aged, on bifoliums, stitched together. ONE: 4 December 1884. 4pp, 12mo. The recipient is not identified. 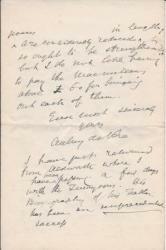 Begins: 'My dear Sir | I am advised by more than one common friend to take the liberty of writing to you. Mr. Oates [publisher], amongst others, tells me that you have great knowledge of old Catholic literature & have collected many curious & valuable books. As I think you see the Tablet, I should like to direct your attention to a letter which I hope may appear in the next or the following number on some points on which I wish for information. [ 'A New Work on Evolution.' 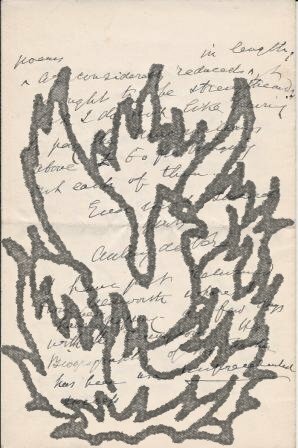 ] Prospectus for the second edition of 'Fallen Angels, A Disquisition upon Human Existence - An Attempt to Elucidate some of its Mysteries, especially those of Evil and Suffering.' With printed publicity card. Four pages, 4to, bifolium, some foxing but mainly good condition.The work was hugely popular, going through numerous editions between 1894 and 1907. The title is (deliberately) misleading. The work is an exploration of theological rather than biological questions, with the author stating that 'The How, Why, and Wherefore have not received the full amount of profound and reverent study that the ineffably intrinsic importance of the subject to ourselves warrants.' Lewis Carroll had a copy in his library. 4pp., 12mo. Bifolium. In good condition, lightly aged. A long and interesting letter, describing in detail his position on his election as Cambridge Professor of Divinity. He begins by thanking him for writing, adding: 'You can imagine that we are feeling just now quite beside ourselves.' He agrees with him that 'the Professorship is a great responsibility to a layman'. He continues: 'The Heads have elected me, knowing that their choice represents a definite endorsement of what may be called in newspapers “free, advanced criticism”. The work was hugely popular, going through numerous editions between 1894 and 1907. The title is (deliberately) misleading. The work is an exploration of theological rather than biological questions, with the author stating that 'The How, Why, and Wherefore have not received the full amount of profound and reverent study that the ineffably intrinsic importance of the subject to ourselves warrants.' Lewis Carroll had a copy in his library. [ Samuel Coley (1825-1880), Professor at Headingley Theological College, 'the Illustrative Preacher'. ] 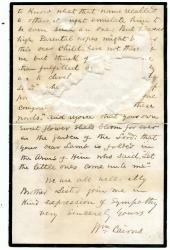 Autograph Letter Signed to 'My dear Bro [i.e. 'Brother Minister'], regarding a 'Missionary Meeting for New Radford'. C.J. Stewart, 11 King William Street, West Strand, London, WC, 1880-1. 584pp., 8vo, utilitarian cloth binding, sl. hinge strain, for the sections as they were published (A-Calvin, Calvin-Fulke,Fulke-Zaccaria), with original wraps of the three original parts bound in, in good+ condition. Small stamp on spine "Trin.Coll. 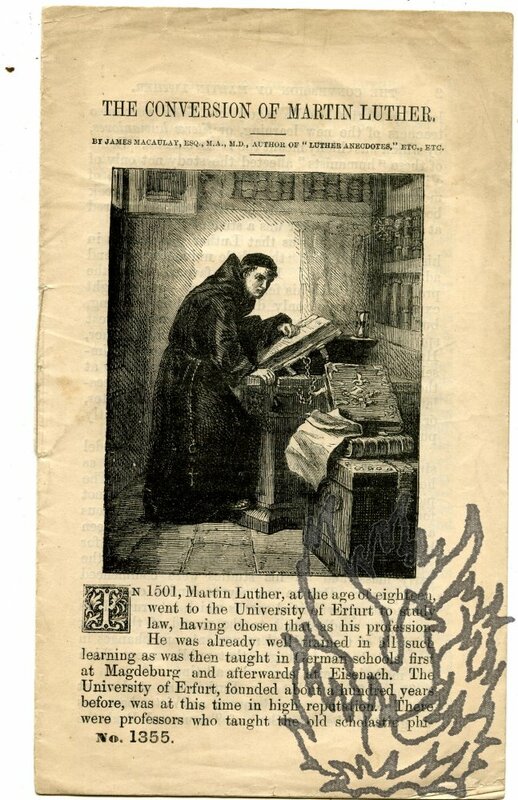 Camb.."His stock has a theological bent, for example the section on BIBLES runs from pp.106 -165, nos.1312-1912, Biblio polyglotta (1586) to Biblia Maxima Versionum ex Linguis Orientalibus (1660). [Printed pamphlet.] 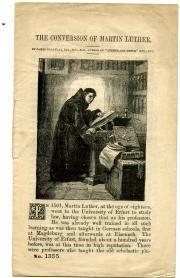 The Development of Theological Education in the University of Wales. An Address given to a Society of Ministers in Bangor on March 27th, 1917. Sir Harry R. Reichel, M.A., LL.D., Principal of the University College of North Wales. 18pp., 12mo. Stitched pamphlet. In fair condition, on aged paper. With stamp, shelfmarks and label of the Board of Education Reference Library, London. Four copies on COPAC and a further three on OCLC WorldCat. Typed Letter Signed ('B. H. Streeter') from the biblical scholar Burnett Hillman Streeter of Queen's College, Oxford, to 'Dear Major', responding at great length to criticisms of a book ('Foundations'? ), discussing schism and the union of churches. Queen's College, Oxford. 3 May 1917. 4pp., 4to. Good, on lightly aged and worn paper. With numerous autograph emendations. A significant letter, in which Streeter carefully expounds his position on schism and the union of churches. Streeter divides his response into three numbered sections, the last of which is subdivided into three more. The first section discusses the question of whether the fact that the Church of England 'only allows Episcopally ordained persons to minister the sacraments' is only 'a matter of discipline and Church order'. Autograph Letter Signed ('J. T. Headley') from Joel Tyler Headley, Secretary of State of New York, [to his father], expressing his desire to return to the Auburn Theological Seminary in New York following a bout of ill health. 1p., 4to. Good, on lightly-aged lined paper. Headley's father - a Presbyterian clergyman - is not named, but the letter is addressed to 'Rev and dear Sir', with the valediction reading 'Respectfully & affectionately', and the context makes it quite clear that he is the recipient. Autograph Letter Signed from the Irish poet Aubrey de Vere, containing an appreciation of the theologian Richard Holt Hutton, with references to the new edition of his poems, the publishers Macmillan & Co, Baron von Hugel, and the Tennyson family. August 1895; on letterhead of the Athenaeum, Pall Mall, London. 16mo, 4 pp. 64 lines. Text clear and complete. Hutton was a friend of both de Vere and his correspondent, and 'this will always remain a link between us; for no one who ever knew him can forget him; & no one who remembers him can ever cease to honour him'. Autograph Letter Signed ('Wm. Cairns.') to 'Mr. Logan'. 28 March 1882; 10 Spence St. Edinburgh. 12mo, 2 pp. Bifolium with mourning border. 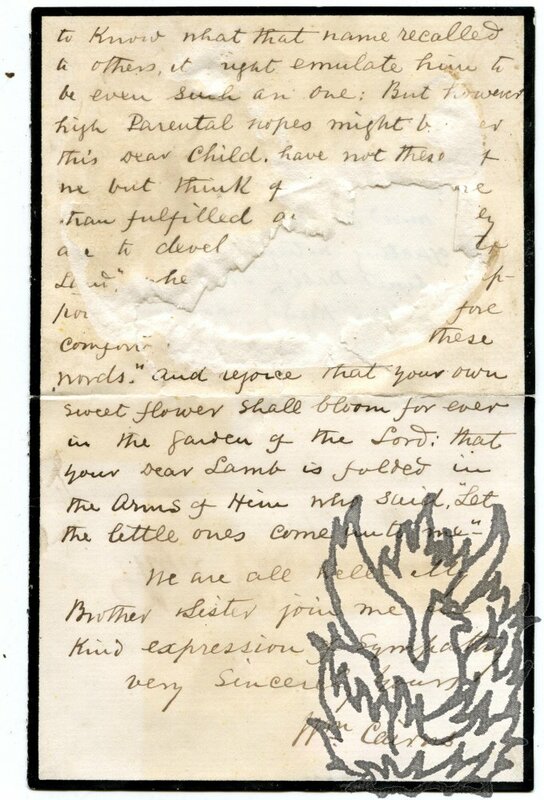 39 lines of text, 12 of which have been damaged, presumably on the removal of the item from an autograph album, which has resulted in a large hole to the upper half of the second leaf of the bifolium. Begins 'My Dear Mr.
Autograph Letter Signed to J[ohn]. W[ilson]. Croker (1780-1857; DNB). 19 July 1826; Christ Church, Oxford. English divine (1794-1868). 3 pages, 16mo. Heavily damp-damaged. Text entirely legible. 3 pages, 16mo. With attractive pencil drawing of country house, and crude plan, in pencil on blank reverse of second leaf of bifoliate (conceivably drawn by the recipient, Croker). Among his many reasons for regretting 'the haste with which I was compelled to pass thro' London' on his way to Oxford was his 'disappointment at Kensington on Saturday'. Autograph Letter Signed to 'Mr Teulon' [W. F. Teulon, author of 'Sacramental Exercises' (1837)?]. Preacher, politician and author (1786-1864). 3 pages, 16mo. Grubby and discoloured, with some damp damage to second leaf of bifoliate, but no loss of text. He says he is 'ashamed of having kept yr MSS so long - | I think the Analysis of Michaelis very useful - & shd think it likely to be very acceptable as a pamphlet, were it not the disgraceful fact that there is no sale for the work itself, wh is a mere drug in the trade. It is a most interesting book - to me, at least -'. Discusses Teulon's spelling of 'Scripture names'.